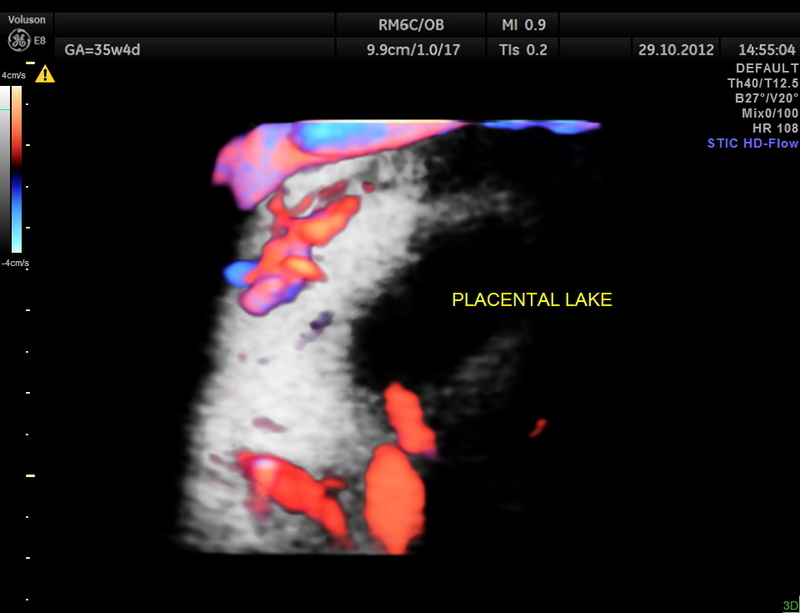 This was a 27 year old lady , Gravida 2, Para 1 , Live 1 , Miscarriage 0. 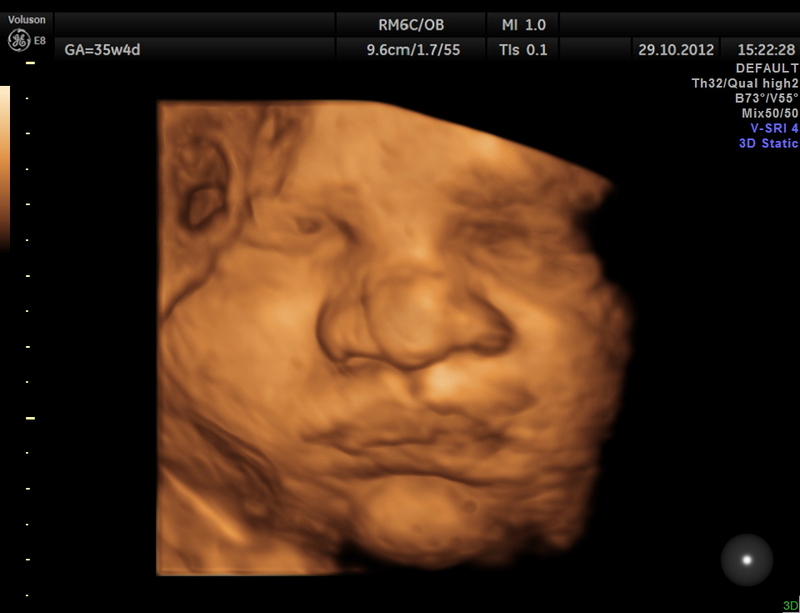 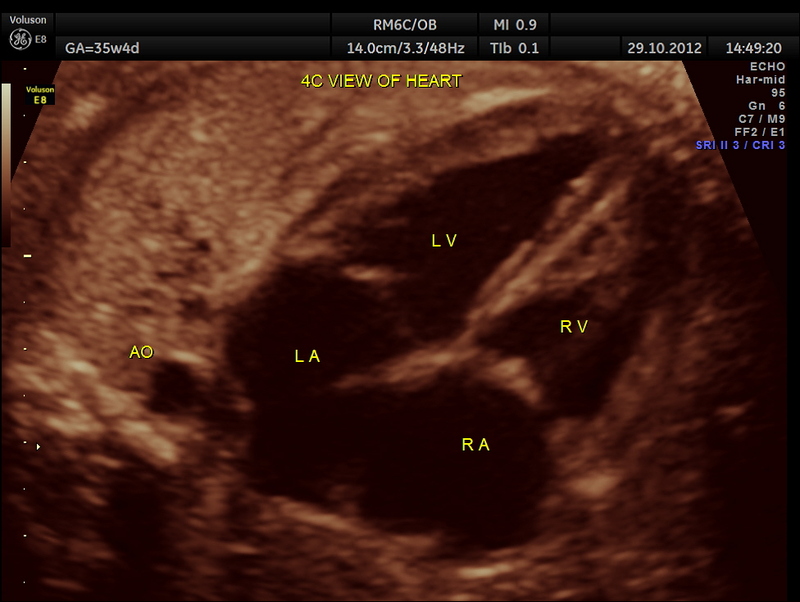 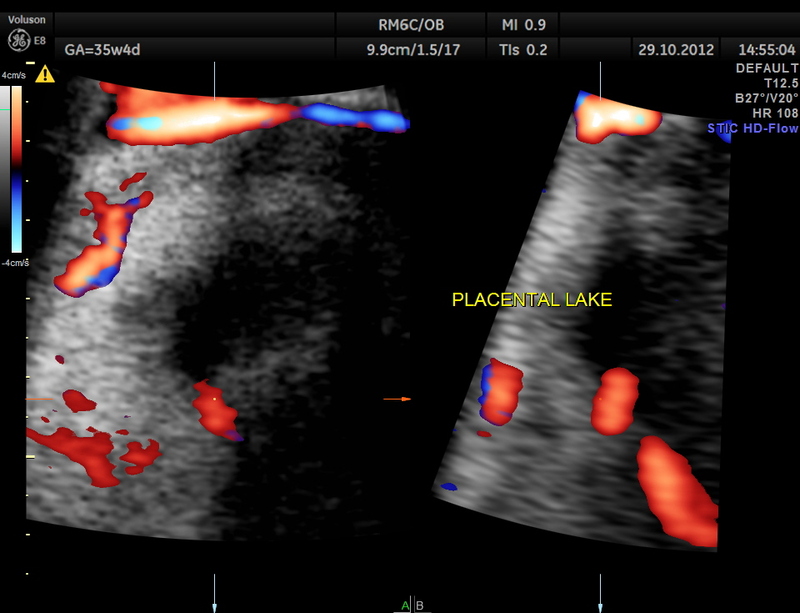 The scan was done around the 35 weeks.The following images were seen . 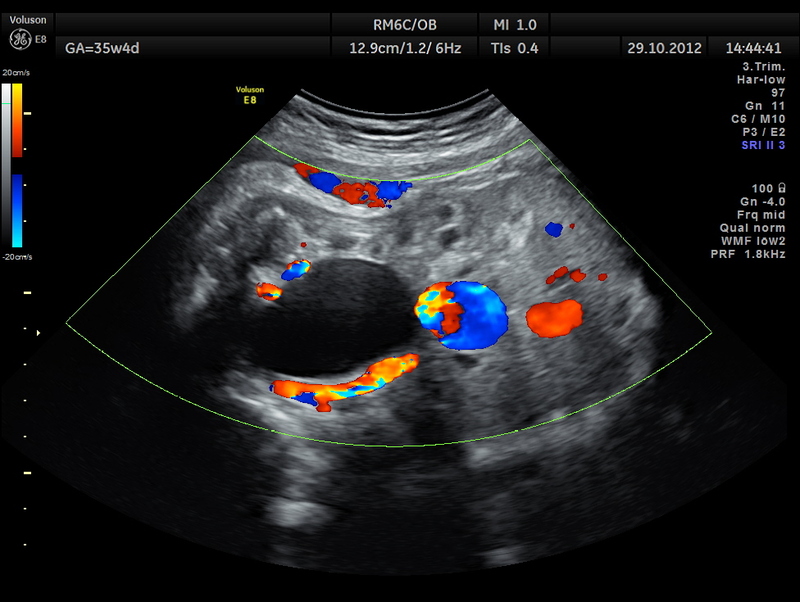 The differential diagnosis : urachal or ovarian cyst ; easily differentiated with the Doppler examination. 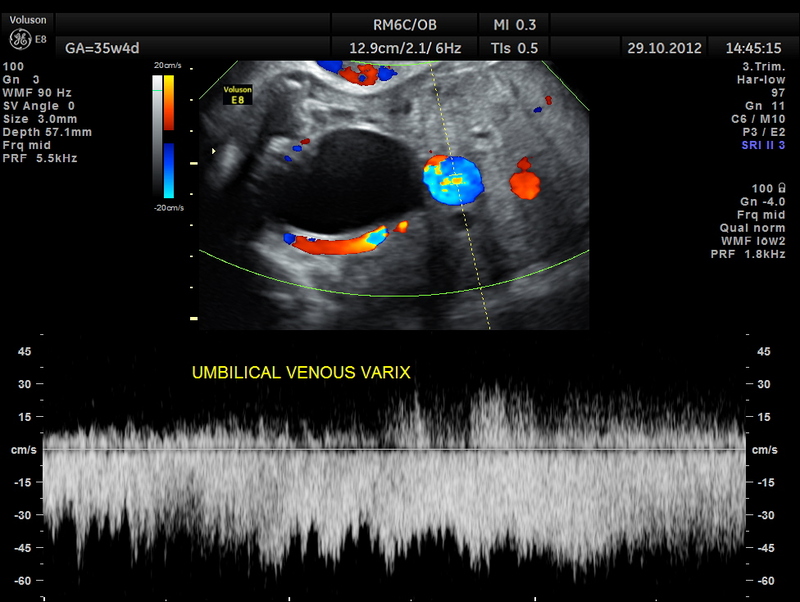 An umbilical varix is a developmental rather an embryologic abnormality and most cases have a normal ultrasound at 16 to 19 weeks gestation. 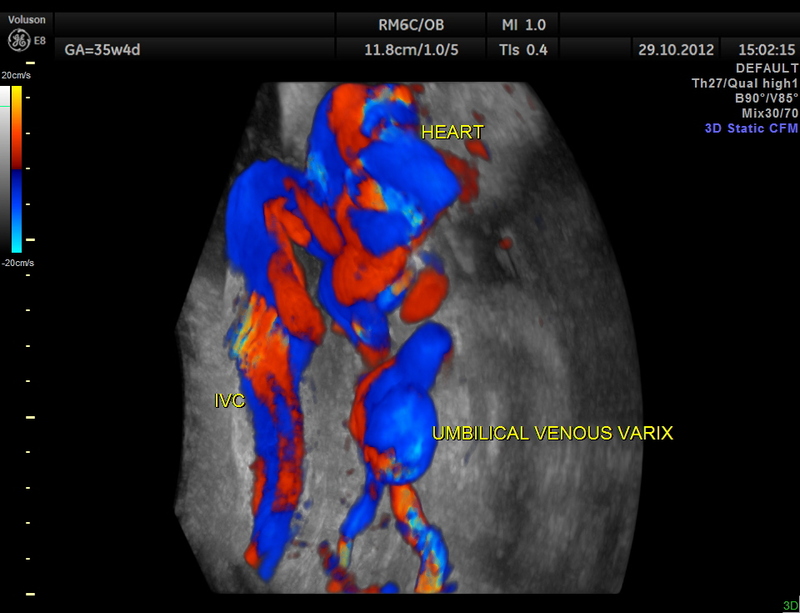 Unlike persistent right umbilical vein, umbilical vein varices have not been associated with other congenital malformations. 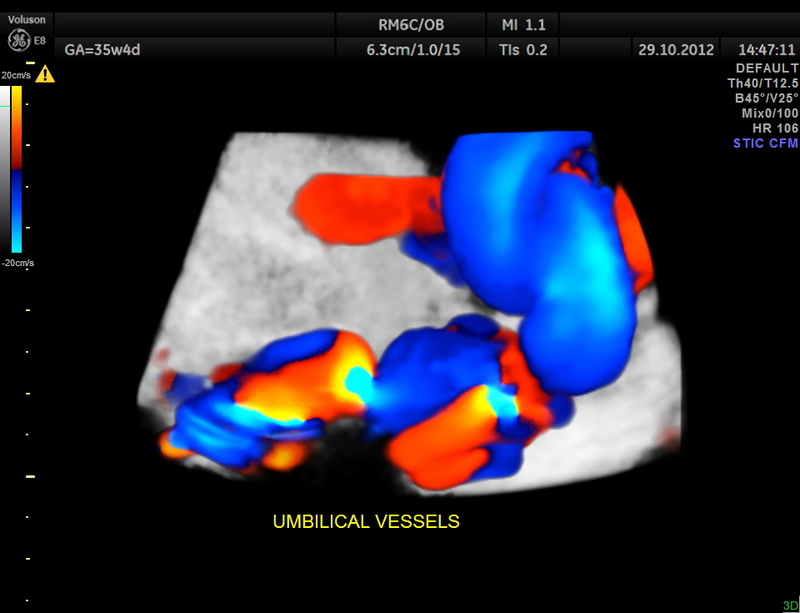 The significance of an antenatally detected umbilical varix remains controversial. 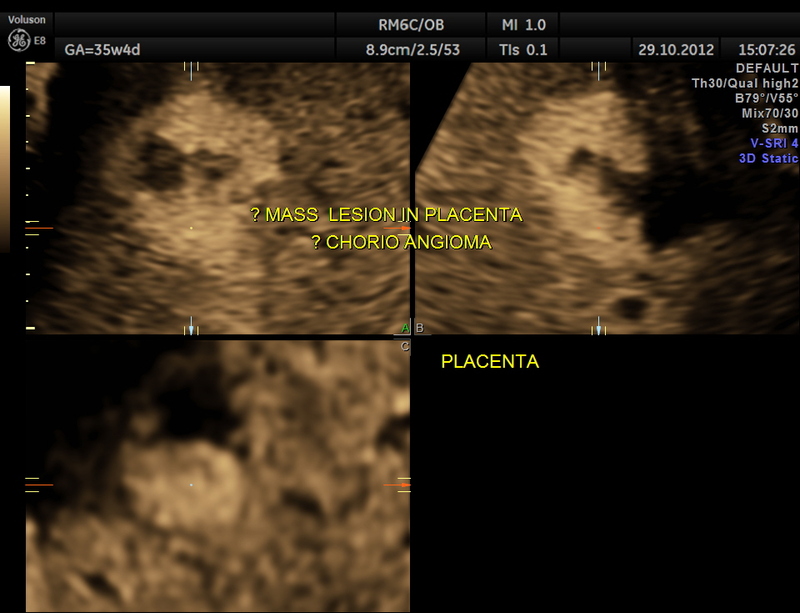 This finding has been associated with an unexplained high mortality rate in utero: thrombosis of the dilation leading to fetal death and other complications including hydrops fetalis. 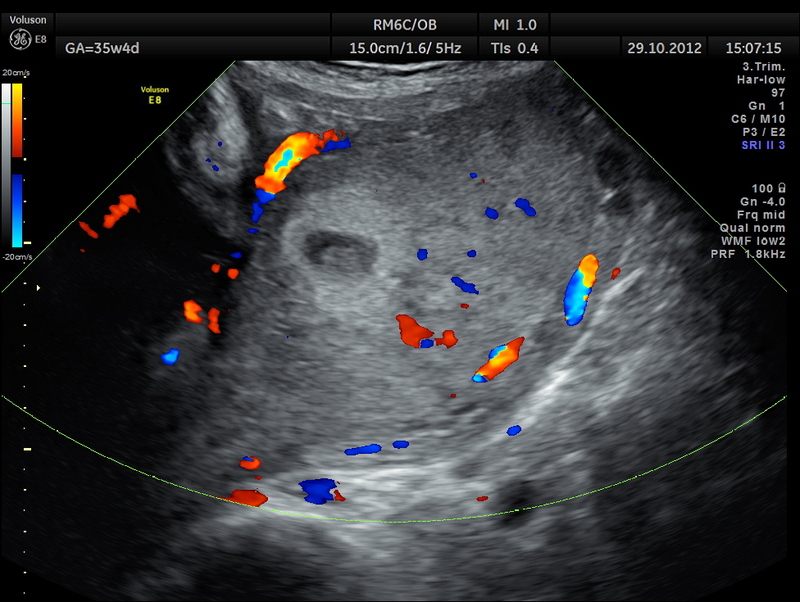 It had also been linked with chromosomal abnormalities. 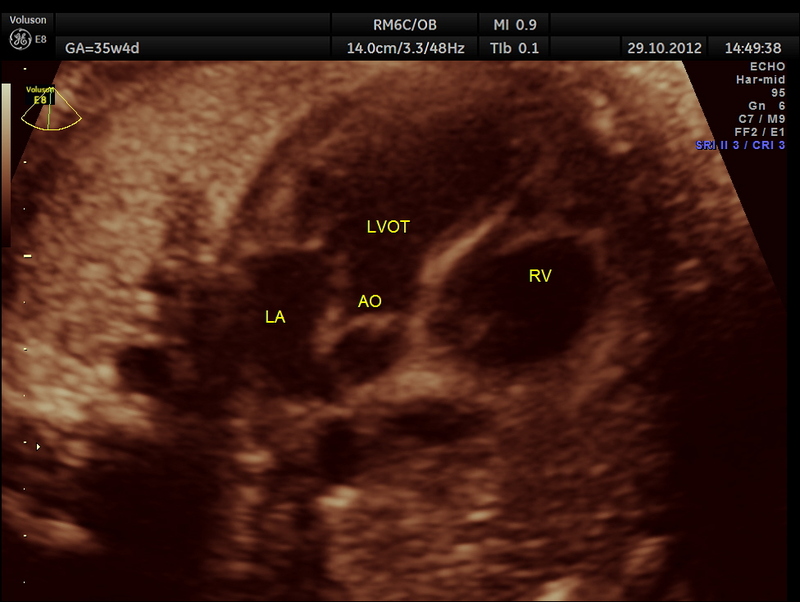 Karyotyping is not warranted if not any associated malformation is detected. 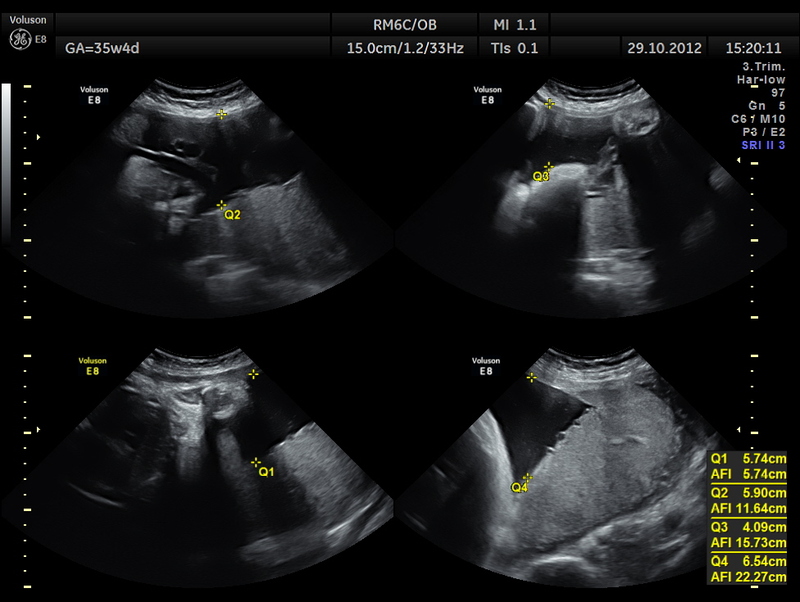 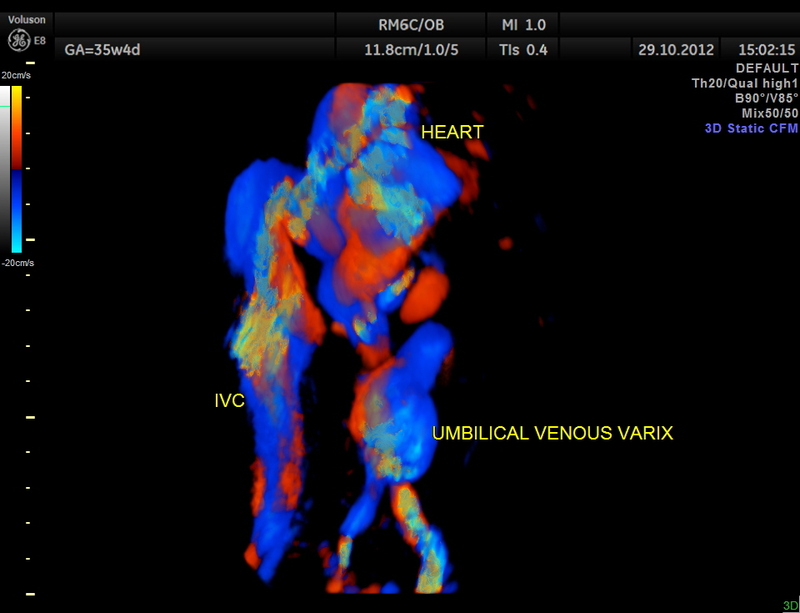 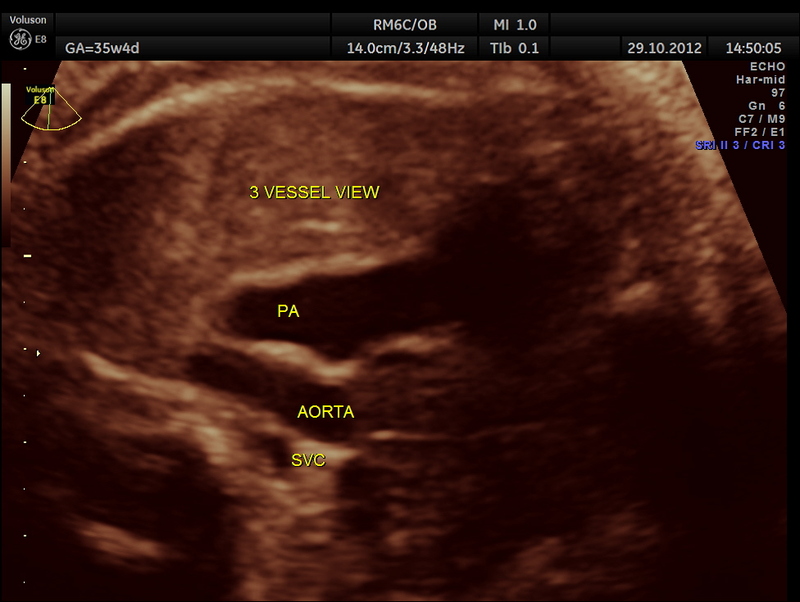 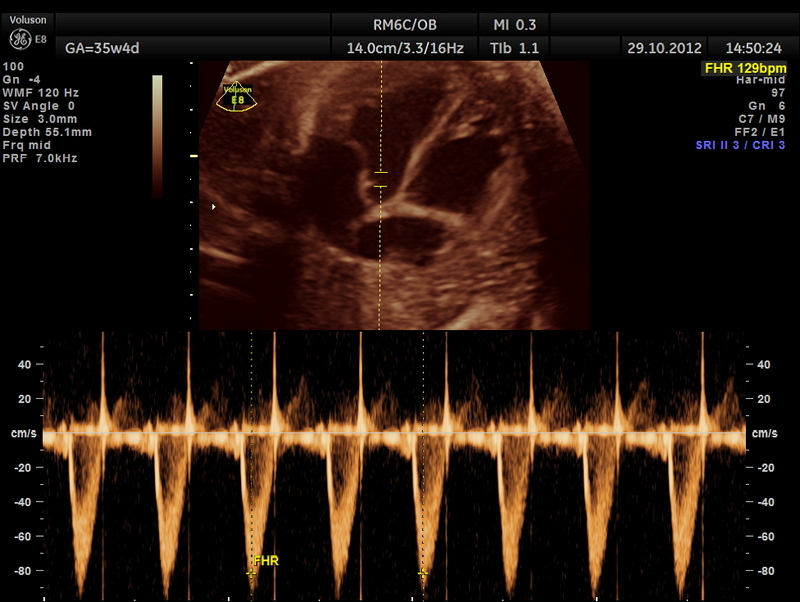 When a fetal intra-abdominal umbilical vein varix is isolated, a good fetal outcome is expected.